and twirl around in it in our living room! to protect endangered snow leopards. to dry hair and keep your little ones warm and cosy. Its designed from walking age to 3 years and retails for £34.99. As you can see on the above pictures MM couldn’t wait to get the box open and try out her new “cape” and after a first wash (the towel came out just as soft and snugly as it went into the machine once it dried on my drying rack) it was ready to be used after our weekly bath time. I really like the fact that the towel is very light which definitely makes it a great towel to pack when we go on holiday or a trip to our local swimming pool! I was sceptical to see if it would dry as quick and be as absorbent as normal towels because of its lightweight but I was very much mistaken and positively surprised that it did its job very well! Molly-May did not want to part with the towel and even after I dried her up and she and her brother posed for the pictures below she protested when I took it off her! The button is fantastic to ensure the towel stays on and keep her cosy and warm (whilst I grab all those things I forgot to bring into the bathroom like a new nappy and a new set of PJ’s) and those ears are super cute. The towel length is a great fit and a very generous size and I am more then certain this will last us a long time (beyond her being 3) its nearly down at her toes and she is turning 2 next week (and is tall for her age being in size 2-3yr clothes for the last 3 month already). 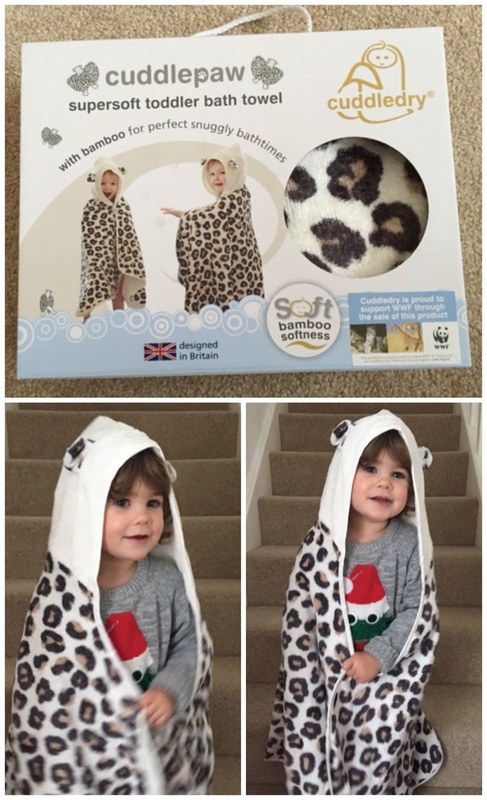 Well its hard to find any fault with this towel but there is room for improvement (in a very positive way) I would LOVE to see a towel for us adults added to the Cuddledry range! 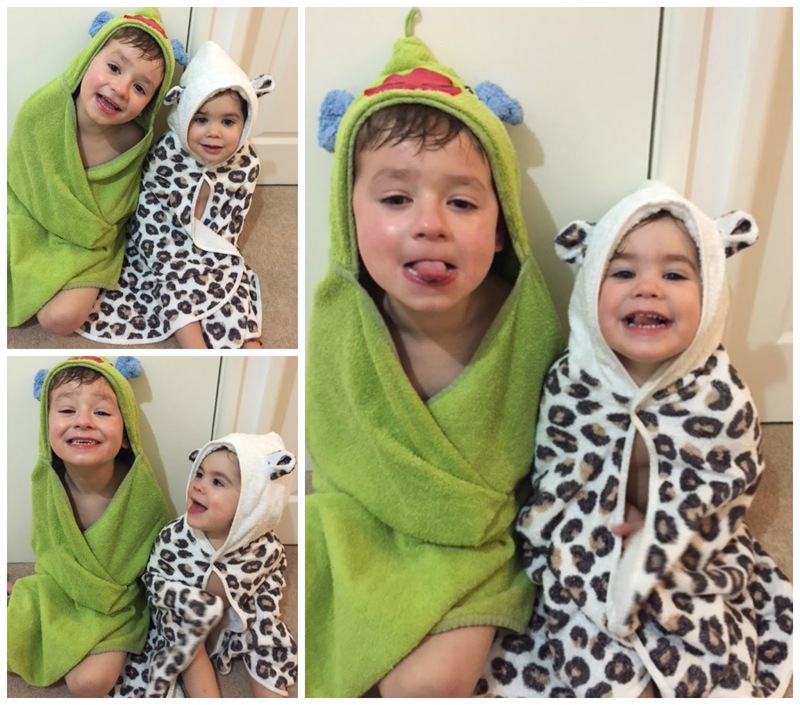 Yes, I might be nearly 32 years old but who wouldn’t love to be wrapped up in a leopard print cosy and soft towel after bath time (and match their daughter….just because)! Our verdict: This towel is not only practical and super soft it is also super cool and definitely a head turner and it doubles up for dressing-up too, what more can you ask for, we love it! would love her own one too. you can head over to the Cuddledry website. Disclaimer: I have been sent the Cuddledry Cuddlepaw Toddler Dress Up Towel for reviewing purposes, but all thoughts and opinions are mine.